The Petronas Towers stand proud above Kuala Lumpur, a city that has been transformed over the past 20 years from the quiet capital of Malaysia into a bustling regional hub, and one of the key proponents of the burgeoning halal industry. It is host to World Halal Week, a global convention that brings together buyers, manufacturers and industry experts all growing the US$2.1 trillion (Dh7.7tn) global halal market. Part-exhibition, part-conference, it joins up the Malaysia International Halal Showcase (Mihas) and the World Halal Forum. Mihas celebrates its 10th anniversary this year. Launched in the shadow of September 11 and in the years after the financial crash in Asia, it was both visionary in imagining a global sector aimed positively at the Muslim world, and opportunistic in establishing Malaysia as a key halal hub. Its aim is to facilitate the sourcing and selling of quality halal consumables, products and services globally, describing itself as “the largest congregation of halal industry players”. The convention, which opened yesterday and runs until Saturday, is open to business and trade, with the public being allowed in on the final day. The event expects to grow 25 per cent on last year, projecting 500 exhibitors and 20,000 visitors. Last year, more than two thirds of visitors were trade buyers. A special pre-show programme brings “incoming buying missions”, which are organised by the Ministry of Trade and Investment, to build the profile of Malaysian SMEs in the halal sector. This business matching programme gives both buyers and sellers the advantages of one-to-one negotiations. Its popularity is apparent. Last year 361 foreign companies from 52 countries were matched up with 449 Malaysian companies and resulted in 3,714 meetings. The aim this year is to replicate the 500 million ringgit (Dh596m) worth of business conducted overall during the exhibition. The HDC is part of Malaysia’s strategy to establish the country as the gateway to the halal industry. As an agency under the Ministry of International Trade and Industry, its objective is to co-ordinate the overall development of the halal industry in Malaysia, something that is important commercially and politically to the South-East Asian nation with a population of 28 million, 60 per cent of which is Muslim. “Mihas was a pioneering initiative to fill a gap in the market and provide Muslim consumers a showcase of halal products, mainly food,” says Hajjah Jumaatun Azmi, founder and director of the World Halal Forum, the second of the two events taking place this week. Its success led to a second Mihas the following year, after which Ms Azmi says that “we realised that there was a need for constructive discussion and interaction among the various stakeholders”. In 2006 this realisation bore fruit in the shape of the World Halal Forum and the two events have been held back to back ever since. The World Halal Forum is the cerebral and networking element of the week. “Participants can learn first-hand the latest developments in the industry from leading experts in their field, be it market intelligence, consumer behaviour, new technology and innovation or the latest in regulatory requirements,” says Darham Dali Hashim, director of the World Halal Forum. This year there will be 20 expert speakers and 1,000 delegates are expected. They will span the entire halal value chain from farmers, slaughterhouse operators, manufacturers, restaurateurs, government agencies and scientists. What is unusual about the halal industry is that one of the key groups of participants are Islamic scholars, whose involvement in everything from certification to finance is crucial to ensuring that products and services are in line with Islamic rulings and therefore meet Muslim consumer needs. Mr Hashim is a stalwart of the halal industry and in the past seven years has taken part in about 50 halal-related events in more than 20 countries. He is a champion for Malaysia’s halal industry and feels that the country has demonstrated that it is “serious” about halal integrity, with milestones including the first halal certification system, standards, legislation and, of course, trade shows and conferences like Mihas and the World Halal Forum. “The momentum is continuing,” Mr Hashim says, as numbers of applications for halal certification grow, as well as the recent introduction of a pharmaceuticals standard. The halal industry is about more than just food and beverage, which is where growing sectors such as healthcare, tourism, innovation, branding and pharmaceuticals come in. This is reflected in the way that Mihas has evolved over its lifetime to go beyond just food producers to other consumer goods such as cosmetics, toiletries, pharmaceuticals and now services including banking, finance and logistics. Mr Hashim says he feels that this breadth is what differentiates World Halal Week from the many halal exhibitions and conferences springing up around the world. He also says that Malaysia’s platform offers the industry a “global and neutral” space. This year’s conference programme showcases this breadth, with subjects as varied as Islamic finance, halal medical care, halal ecosystems and science innovations, such as halal collagen. Ms Azmi and Mr Hashim project an alluring mix of heartfelt Islamic aspiration with an eye for commercial opportunity. “One of our global aims is to make halal the mainstream standard of choice,” says Ms Azmi. Looking at this from Malaysia’s position in Asia, which is home to 65 per cent of the world’s Muslims, this makes perfect sense. But Ms Azmi is under no illusions about the challenges. “First is the task of overcoming the negative perception of halal in certain quarters, in particular Europe,” she says. The region is home to about 50 million Muslims and their global influence is much wider. European Muslims are increasingly affluent but increasingly demanding of mainstream halal products. The second challenge is “to promote the universal values that halal espouses”. 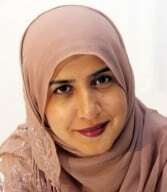 Ms Azmi believes that this means Muslims must lead by example in excellent animal welfare and handling, and the highest hygiene standards, professionalism and transparency. In the light of the recent horse meat scandal across Europe, pork DNA being found in halal meat and Chinese products being fraudulently labelled as halal and manufactured in Malaysia, these are particularly timely concerns. As Mr Hashim puts it, “you must be halal and be seen to be halal”, acknowledging that while rigorous halal certification processes are important, “it is vital to manage the perception through good branding, marketing and communications”. Mr Hashim may not have long to wait. One of the delegates and speakers at the conference is Rushdi Siddiqui, another long-time advocate of the halal industry, and well known for his pioneering work in Islamic finance. In 2011 he was part of a launch at the World Halal Forum with former Malaysian prime minister, Tun Abdullah Badawi, of the world’s first halal food index. An adviser to Thomson Reuters for Islamic Finance and Organiasation of the Islamic Conference countries, he is also the founder of Azka Capital, a private equity firm addressing food security that he is launching at this year’s forum. Mr Hashim has picked the World Halal Forum to launch the new company for “the same reason companies launch their product during the Super Bowl in the US”, explaining that “the world’s attention for the halal industry is directed towards Malaysia”. World Halal Week is Malaysia’s flagship event to lead the halal industry and stakes out the country’s ground in a growing and competitive sector. The organisers recognise that the work requires participation from the wider Muslim world. Ms Azmi is hopeful of reaching out to new audiences and has cause for optimism. Muslim consumers, businesses and governmental bodies are asserting their interest in this industry and becoming increasingly vocal about the need for products, services and business regimes to grow the sector. “Quite a lot of interest has been stirred in the GCC, in particular Saudi Arabia, Kuwait and Dubai,” Ms Azmi says, recognising that Malaysia’s efforts are reaping rewards.